Kaye Gibbons may be America's wisest writer. Not necessarily the smartest, the most clever or the most knowledgeable. Being wise is different from having those attributes. Gibbon's wisdom is an insight into the human heart, an understanding of what is true or just or right in us—not in a clinical, analytical way but with a grasp of the larger picture within. Immediately, fifty percent of readers are going to think, "uh-oh, soppy emotional stuff"—or worse, "woman's writer". She even looks like a modern romance writer (although we'll find her own life does not exactly fit the stereotype). When I was little I would think of ways to kill my daddy. I would figure out this or that way and run it in down through my head until it got easy. The way I liked best was letting go a poisonous spider in his bed. It would bite him and he'd be dead and swollen up and I would shudder to find him so. Of course I would call the rescue squad and tell them to come quick something's the matter with my daddy. When they come in the house I'm all in a state of shock and just don't know how to act what with two colored boys heaving my dead daddy onto a roller cot. I just stand in the door and look like I'm shaking all over. But I did not kill my daddy. He drank his own self to death the year after the County moved me out. Even when writing from the perspective of a emotionally wrecked but fanciful young girl, Gibbon's is reporting the emotional wreckage and the fancy with a clear, dry eye. And it's devastating. Even more astounding is that she wrote this while still in university. Kaye Gibbons was born in 1960 in North Carolina, where she also grew up and attended university. As befitting a native of a border state between north and south in the United States, her novels have often dealt with southern characters empathetically but with a liberal political sensibility. Racism is a common theme but it is always condemned through an exploration of the characters both good and bad, as she understands the pain that is racism's effect as well as the pain that is its cause. Ellen Foster, based partly on her own experience growing up as a foster child, was a sensation when it was published in 1987—praised by veteran writers, winning awards and eventually making several lists as one of the greatest novels of the twentieth century. It has also been performed as a theatrical piece throughout the United States. Gibbons proved it was no debut fluke when she published A Virtuous Woman in 1989. Although she was still in her twenties, her second novel got inside the lives of an older couple, narrated by them from the perspective of the end of their lives. It is utterly credible, as Gibbons is completely committed to her characters as they see themselves. The story is again told simply and starkly, as the backwoods characters in the novel would themselves speak and how they would understand their own lives. Yet, between them, and with the help of the couple's daughter who narrates after their death, the reader is raised to a higher level of understanding, that nonetheless never looks down on the characters. Again the work was widely praised and honoured with awards. One such award was a grant from the National Endowment for the Arts to allow her to write a third novel, A Cure for Dreams (1990), concerning the life of a mother and child during the Great Depression and World War II. 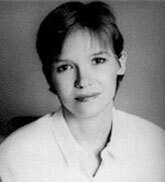 It was followed by Charms for the Easy Life (1993) and Sights Unseen (1995), her fourth and fifth straight award-winning novels. Charms was filmed for television in 2002 with Gena Rowlands and Mimi Rogers. Some fans however consider her sixth novel, On the Occasion of My Last Afternoon (1998), her best so far. Like Gibbon's first, it follows the lifelong efforts of a southern girl to overcome the effects of an abusive, overbearing father and to fight racial discrimination. But the story takes place before and during the American Civil War and the central character Emma Garnet Tate is a far different young lady from Ellen Foster. Around this time Gibbon's first two novels also made a comeback, as Ellen Foster and A Virtuous Woman were together named Oprah Book Club selections, sending them to the top of the bestseller lists almost a decade after their first publication. Her more recent works include Divining Women (2004) and a still-to-be-published sequel to Ellen Foster titled The Life All Around Me. Gibbons has been open in talking about suffering from bipolar disorder which has caused her to be hospitalized repeatedly, while continuing to write and to raise three daughters on her own. She was also arrested and in 2009 convicted for attempting to fraudulently acquire painkillers. Oddly, although her books have sold millions of copies, have been placed on numerous best-of lists and have been honoured greatly in Europe (in 1997 she was awarded a knighthood in France), and despite her popularity as both a writer and a speaker across North America, Gibbons remains somewhat unappreciated among the literati and academics. Few literary reference books even mention her name. This is bound to change however if her novels endure in the hearts and minds of her readers, as I expect they will.